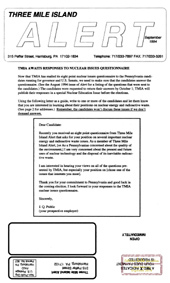 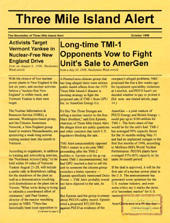 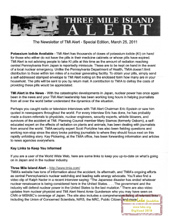 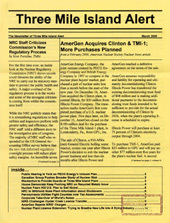 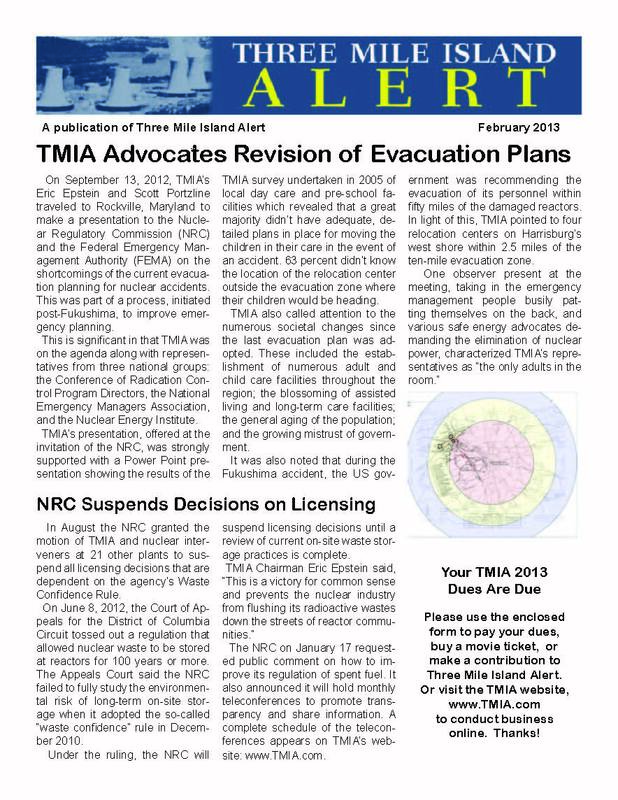 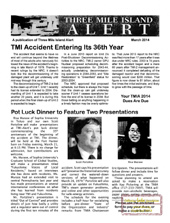 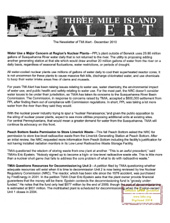 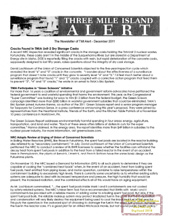 TMI Alert is a citizens' organization dedicated to the promotion of safe-energy alternatives to nuclear power. 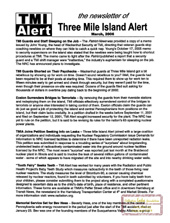 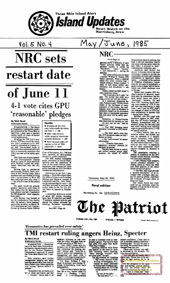 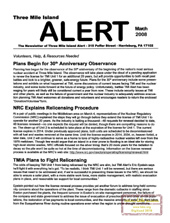 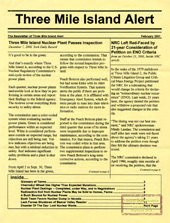 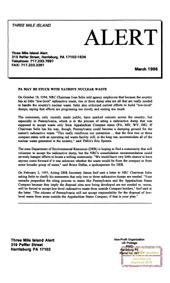 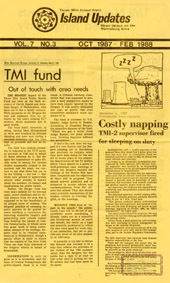 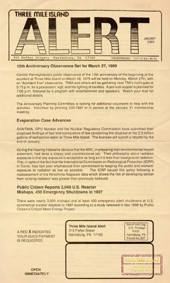 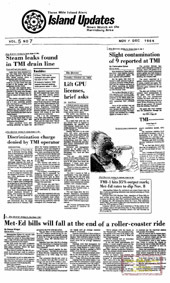 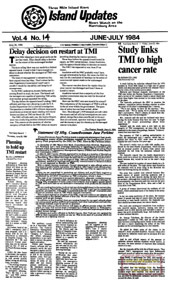 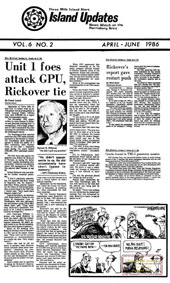 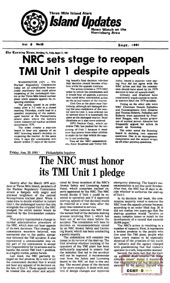 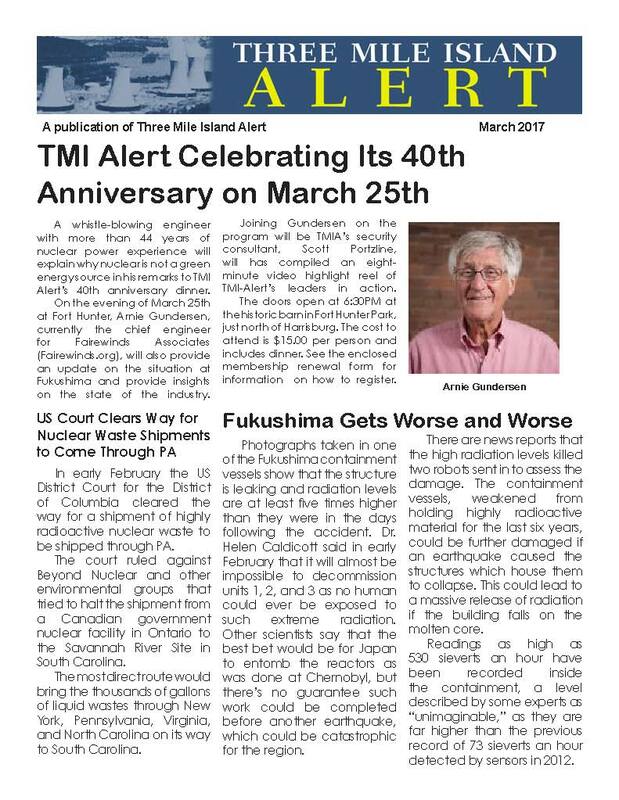 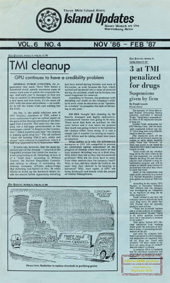 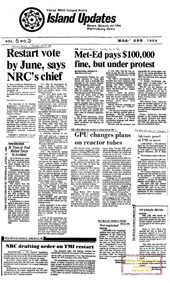 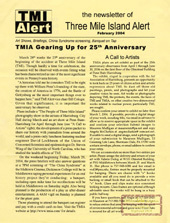 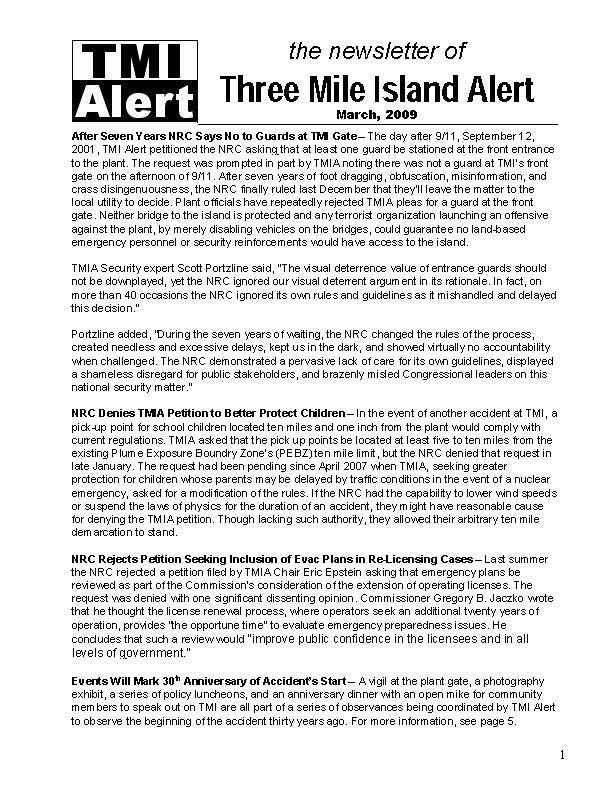 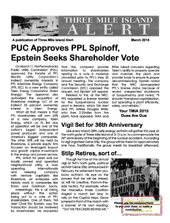 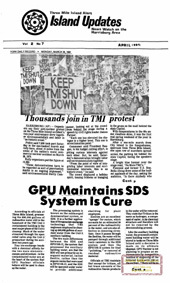 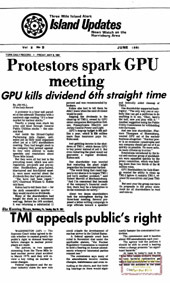 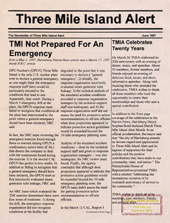 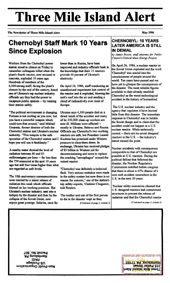 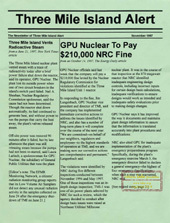 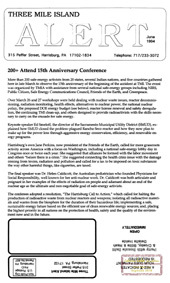 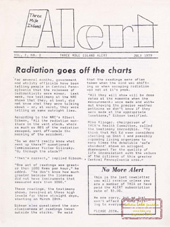 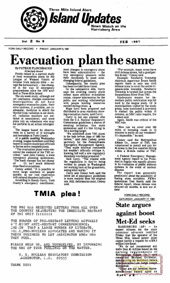 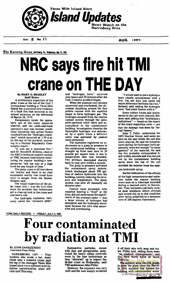 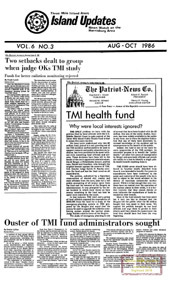 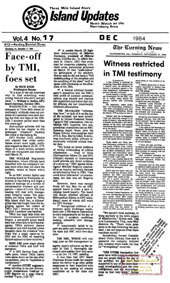 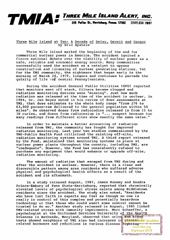 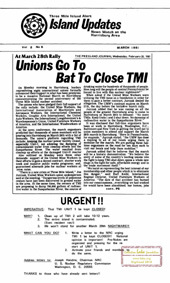 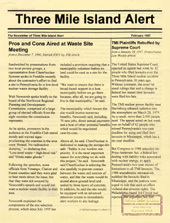 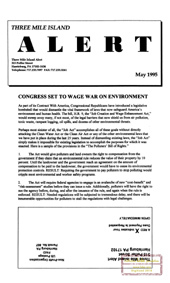 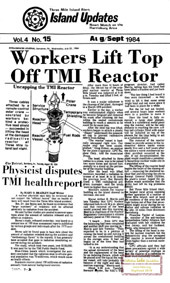 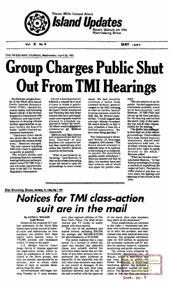 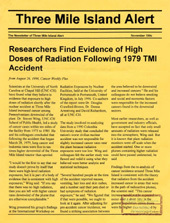 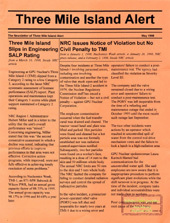 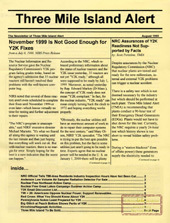 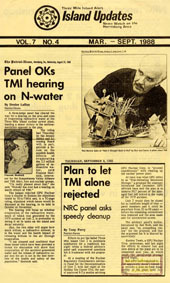 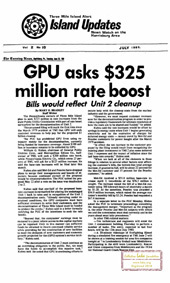 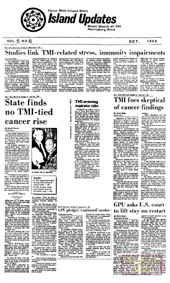 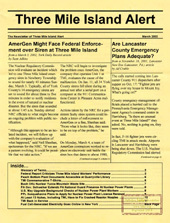 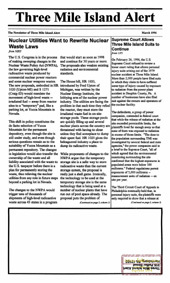 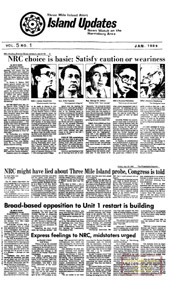 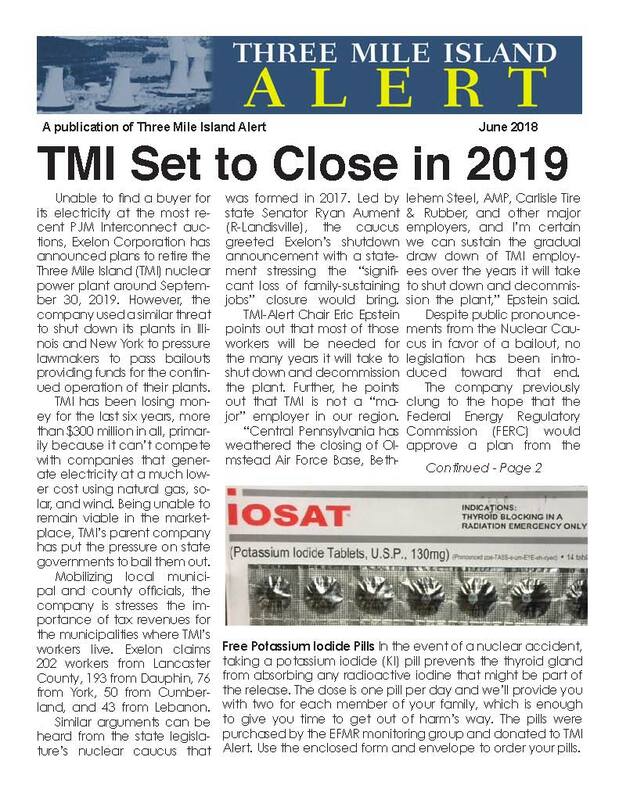 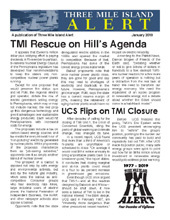 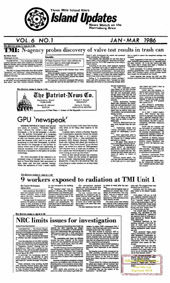 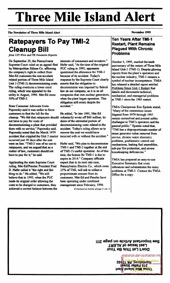 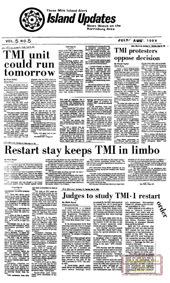 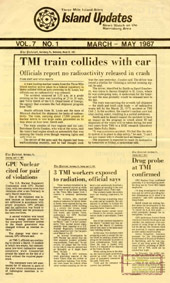 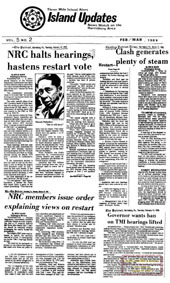 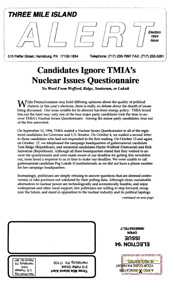 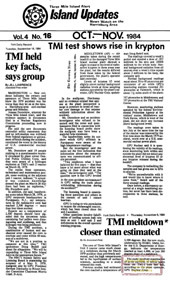 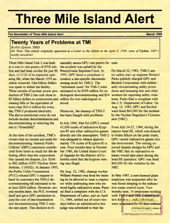 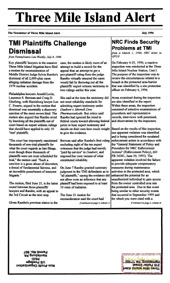 Since the Three Miles Island (Harrisburg) nuclear accident on March 29, 1979, the main focus of the magazine is on the consequences of the nuclear accident. 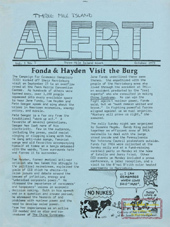 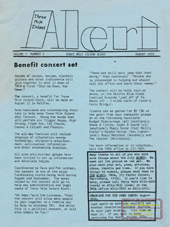 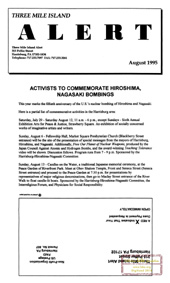 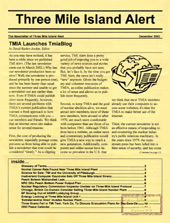 Produced by local activists the magazine was important to disseminate information in the local/regional communities and instrumental in organizing those communities. 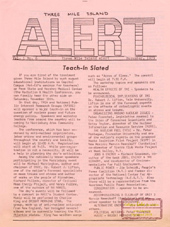 Move cursor over titlepage for more information on the content.